DMV.com was created to help simplify your life by providing you with all the vehicle related information and Mississippi DMV services you may need, in one place. Quickly find information and services regarding driving records, vehicle registration, drivers license renewal, license plate renewal, getting a learners permit, and finding a Mississippi Department of Motor Vehicles approved traffic school. Learn about DPS license renewal and other Mississippi drivers license services. MS residents must get a drivers license before driving. Requesting MS driving records online is fast, safe and convenient. Order your Mississippi driving record from the DPS today. The DMV makes minimum car insurance coverage mandatory for MS drivers. Get car insurance today from our online car insurance center. Mississippi traffic school lets drivers dismiss tickets and earn insurance discounts. Get MS defensive driving course benefits by signing up for a course today. Take an MS practice exam to test your driving knowledge. Completing an MS DMV practice test can improve your chance of earning a license. 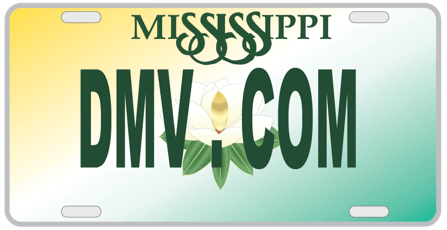 DMV vehicle registration is required in Mississippi. Learn about MS car registration renewal, replacing car registration and more. Mississippi drivers ed classes help new drivers develop their skills and knowledge. Discover online drivers ed benefits for MS drivers and enroll today. A Mississippi bill of sale is a car sales receipt. Discover how to get an MS bill of sale form at the DMV after you buy or sell a car. Discover how to pay a ticket online in Mississippi today. Paying traffic tickets online is the easiest way to avoid further DPS penalties. DUI and DWI convictions in Mississippi are considered serious offenses. Learn about DUI laws administered by the MS DPS. Buying a car online in MS can speed up your DMV registration process. Purchase a used car or new car online using our helpful resources. Some Mississippi DMV services require motorists to visit a DMV location. Find a DMV office in MS conveniently located near you. This is Mississippi DMV.com – your guide to Mississippi’s Department of Public Safety. We are privately owned website that is not affiliated with any government agency, and our mission is to make time consuming motor vehicle issues a snap. Our website gives you all the information on one place and in no-time. Want to learn how to obtain a Mississippi driver’s license or maybe want to see what documents you need for replacing your vehicle registration – we know, and exists to give you that kind of information. Auto insurance – checked, best quotes – checked, boat registration also checked. You are just one step away from finding your desired info and saving precious time. Navigating around the website is easy and very simple. Just use the search feature or the navigation sections and you will find what you’re looking for in a second. Not only does our website offers easy-to-understand articles on hundreds of topics about driving and the Mississippi DMV, but we also supply details about driving schools and defensive driving courses, driving records as well as background and credit checks.